There are lots of things in this world that I really hate, but wasting money is probably in my top ten. I hate spending money that I don’t need to spend. I don’t like paying someone to do something that I could do myself (unless I really don’t want take the time to do it, but who hasn’t been there?). It’s why I taught myself how to sew. It’s why I found copycat recipes of my favorite meals at my favorite restaurants and have nearly perfected them. My younger sister is graduating this year (eeek!! 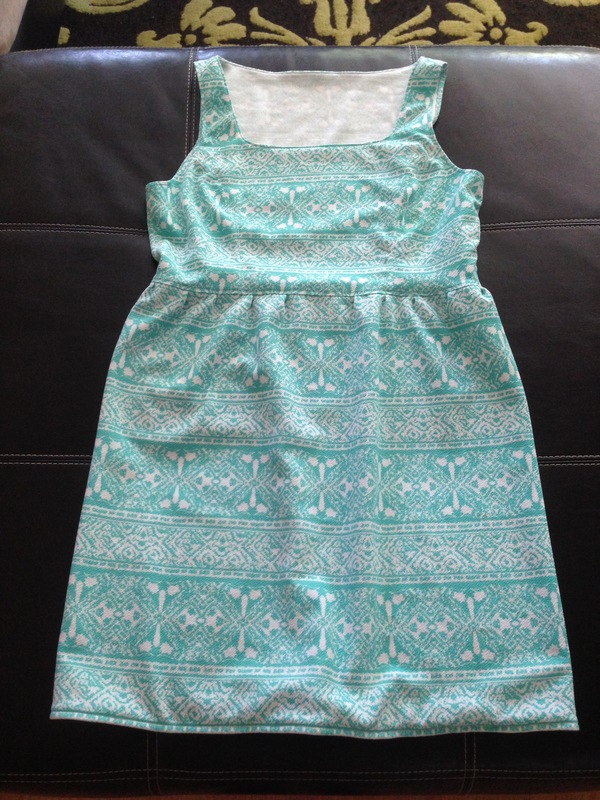 ), and she asked me to make her a dress to wear. Her party is on saturday, so I had a week to get it done. I’ve never made a dress before, so I said, “yes,” when she asked because I like to try new things. That’s why I haven’t blogged for a few days. I bought a pattern and planned on following it, but the more I looked at it, the more I wanted to change, so I probably used 40% of the pattern and did the rest myself. It was a challenge and made me a little crazy at times, but I think it turned out really great!